Our Bambini community offers your family an enlightened early learning journey from 3 months of age. We want to ignite a life long love of learning in your child in a space that feels homelike and engaging. Our educators cultivate the atmosphere of an oasis, an adventure land and a nourishing support system that encourages your child to thrive in all areas of development and wellbeing. We understand that entrusting us with the care, wellbeing and education of your young child is the greatest privilege, and one that we do not take lightly. We hand pick our team to ensure that we have the very best educators to bring out each and every child’s potential. 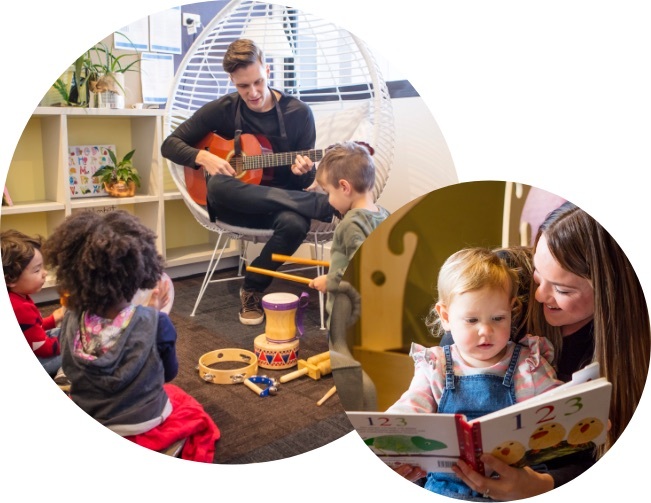 Our long day care centres in Melbourne and Geelong have been designed to mirror our methodology for learning with unique and, where possible, sustainable resources that support the development of your child. A whatever age your child begins their Bambini journey, we take the time to build trusted bonds with the whole family. 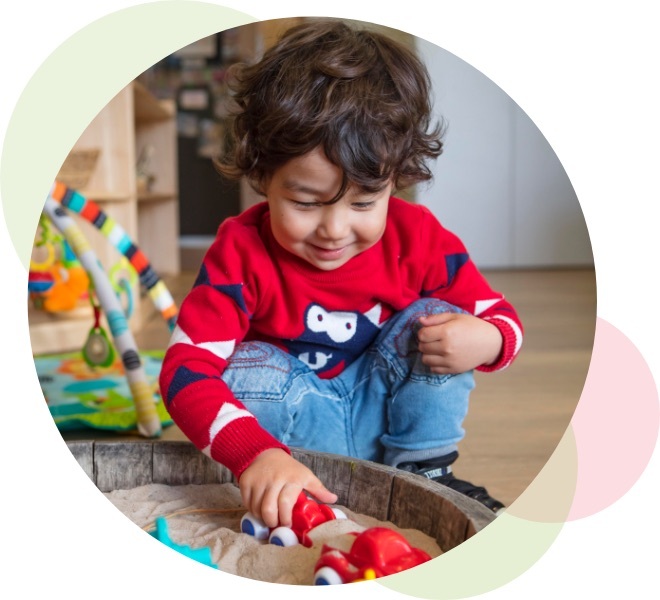 We acknowledge that every child and family is unique in their needs and interests and as such, we support every step of your child’s early learning journey and collaborate closely with your family along the way. As an educational provider, we have a strong social conscience and work hard to embed this into our educational programs, environments and approach to wellbeing. We endeavour to support children in becoming socially aware, global citizens with emotional intelligence, a sense of healthy nutrition and a fondness for supporting sustainability in their community and the world. 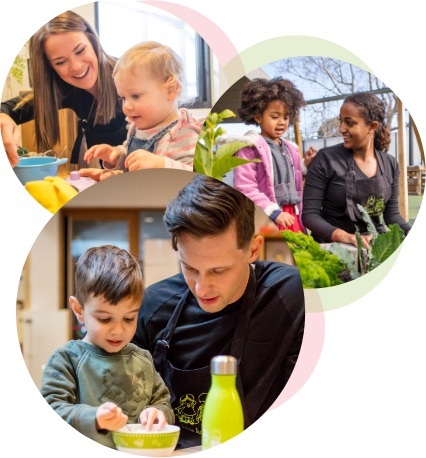 As a childcare provider, we pride ourselves on our strong social conscience, that it is embedded into our educational programs, environments and everyday approach to wellbeing. We support all children to become socially aware citizens with a sense of appreciation for healthy nutrition, sustainable practices and their wider community. Full of changes and growth, the first two years of a child’s life should be supported with constant nurturing, comfort and security. Our nursery environments are made up of sensory rich resources with dedicated cot areas to engage senses, nurture autonomy and replicate at home rest routines. New discoveries and curiosity stamp the way for toddlers who are eagerly learning about their sense of self and their surroundings. We provide your child with the platform to investigate their own learning and branch into topics that interest them and their development. Provocations are regularly changing and expanded upon to keep every child engaged and to guide their own direction of learning. Our Bachelor qualified Kindergarten Teachers deliver the stepping stones that your child needs to get them ready for their next big step in life. We endeavour to fill each child with the confidence they need to face the next challenge in their learning pathway, both socially and emotionally with our dedicated kindergarten. We work hard to create variation in our learning programs that integrate elements of art, literacy, numeracy, science, music, social awareness, emotional intelligence and language development at all ages to support their entire wellbeing and path to their own successes.